It's Valentine's! Cupid has been sharpening his arrows for weeks in preparation for a day of romance, candles, chocolates, bouquets of roses and (of course) lost virginities. But what about the people who don't have a significant other, or those whose partner can't be with them this February 14th? Don't worry girls, I've got you covered. Now I'm no stranger to the joys of dating yourself, I am a huge advocate of solo dates and making YOURSELF feel special. This goes for every day of the year, and V-Day is absolutely no exception. 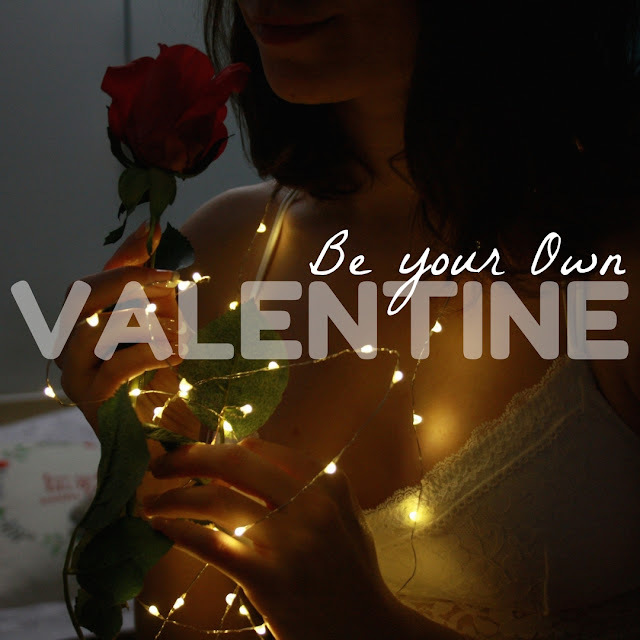 So, without further ado, here's my whistle-stop guide to being your own Valentine! First things first, to kick off our blissful night in, we're going to need some booze. "To drown our single girl sorrows?" you may ask. Pah! I don't think so, ladies. Valentine's 2k18 is going to be all about CELEBRATING OURSELVES. You're a powerful, kick-arse lady who deserves a glass of something bubbly, so pop open a bottle, raise a glass with a toast to you, and drink deep. 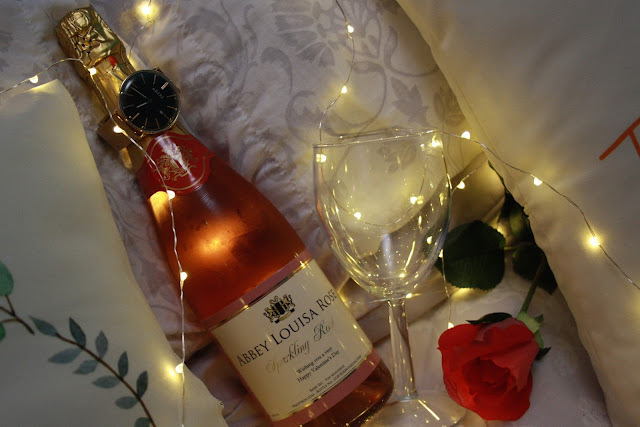 The sparkling rosé* I'll be sipping on this Valentine's was kindly gifted to me by Prezzybox - I was especially delighted to receive this because (as you can see!) it's personalised with my name on the label! It came delivered in a gorgeous presentation box, complete with a red rose, a really lovely touch. I wouldn't hesitate to order this for myself again, the rosé goes down a treat and it was a gorgeous present to myself to open. Next we're going to set the scene. 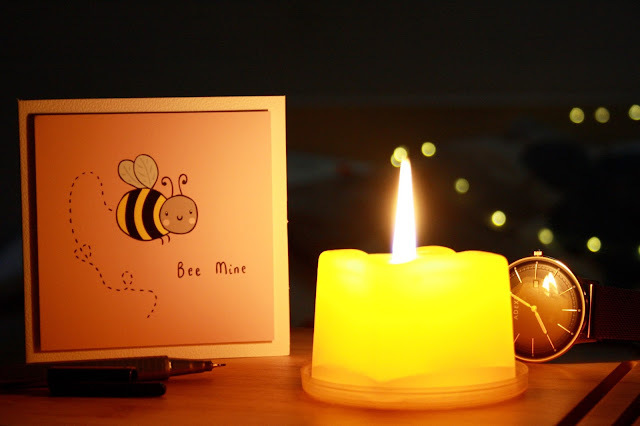 A tranquil, candle-lit bedroom atmosphere is an essential for a cosy night in and mine comes with an added element of pride because I actually made these candles myself! Prezzybox are again to thank here as alongside the wine, they sent me my very own candlemaking craft kit* to try out. Anyone who follows me on Instagram will have seen how much I enjoyed getting creative and making my own deliciously lemon scented candles on my story! 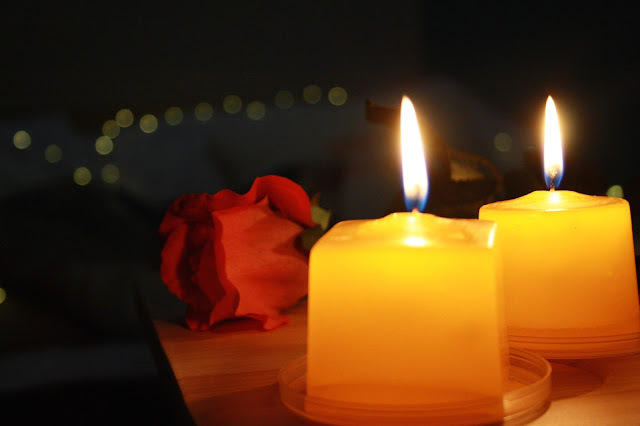 Making the candles can be an evening activity in itself, if a Netflix binge isn't calling your name, and it's something that I would wholeheartedly recommend. It wouldn't be Valentine's without a card, now would it? This year, to celebrate being your own Valentine, why not pick up a card and use it to write a love letter to yourself? You could make a list of things you're great at, achievements that you're proud of, or all of the positive personality traits that you possess. Go on - give yourself those warm fuzzy feelings! The Bee Mine card I've used to do exactly this comes from my favourite small business: Pastel Elixir! The image on the front is a unique, especially drawn design, printed on gorgeous textured paper. The card is handmade with love and if you ask me, it's a total bargain at £2. And finally, once you've got the card, presents naturally follow! Don't rely on anyone else to get you the present you really want this February 14th, treat yo'self and you'll never be disappointed! 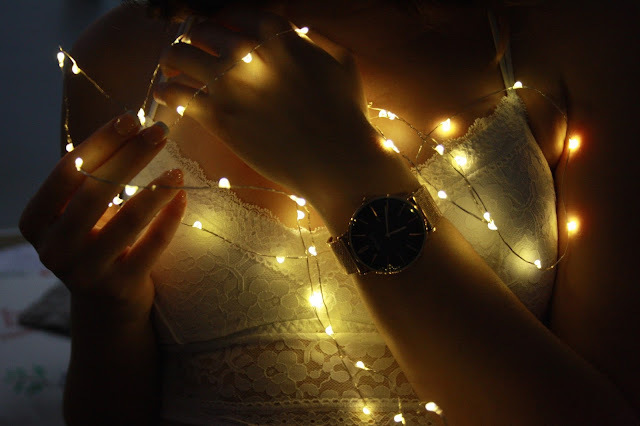 Treating yourself can come in so many different forms, from something as simple as a manicure to something as special as a new watch. My Valentine's manicure comes courtesy of Kiss's imPRESS nails in Rock It*. imPRESS was the brand that came out top in last year's nail battle on my blog and they haven't let me down here either! These French tip nails give a polished and classy look without being overly long and making simple tasks difficult. The glueless application process couldn't be easier either, just peel off the plastic backing and stick the nails on! As for the gorgeous watch that I had so much fun showing off in these pics, this comes from ADEXE's brand new collection. The Meek Grande* is the ultimate blogger watch, thanks to its gorgeous rose gold strap and the elegant and utterly Instagrammable black face. What I especially liked about it was that the strap is totally adjustable - no need to try and poke an extra hole into the strap because of my awkwardly sized wrists! The watch is weighty, indicating its high quality, but it's still very comfortable and I can easily have it on all day. 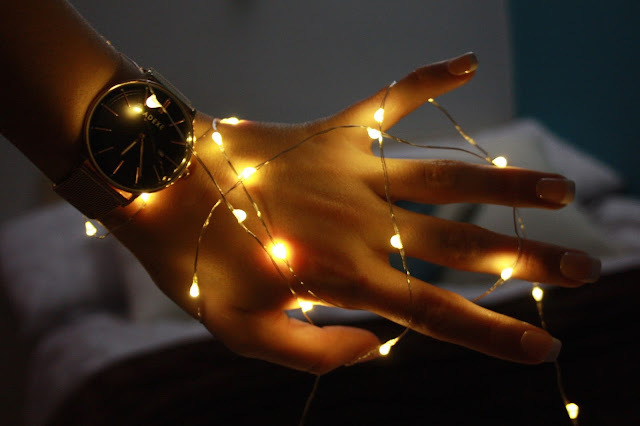 If you're tempted to splurge on an ADEXE watch, you can use my discount code ABBEY15 for 15% off on their site, or enter my giveaway on Twitter to win a Meek Grande watch of your very own! I hope that this post has shown you that being your own Valentine is not something to shy away from. Quite contrarily, I believe it's a thing to be proud of! Embracing your independence and taking charge of giving yourself a night to remember shows your inner strength and powerful sense of self-worth and I, for one, think that's brilliant. How will you be spending this Valentine's Day? Let me know in the comments! Give a warm welcome to my February advertisers!